Starting Lineup figures ruled the hobby from 1988 to 2001. First they were made by Kenner, and then Hasbro. Collectors had never seen such highly detailed action figures of their favorite sports stars before. 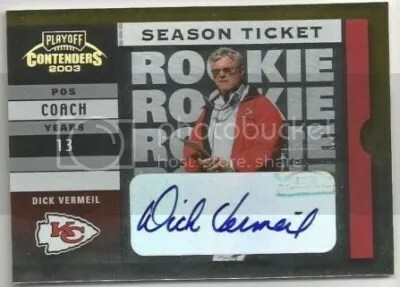 They were the brainchild of former Bengals punter/wide receiver Pat McInally. 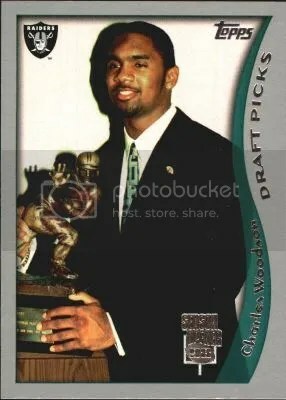 Before Starting Lineup, most of the sports action figures were very generic looking. Collectors went crazy for them. A lot of the figures went on to be worth a lot. The ones you think would be in high demand aren’t. Many times the figures that hold the most value are of people you may have never heard of. 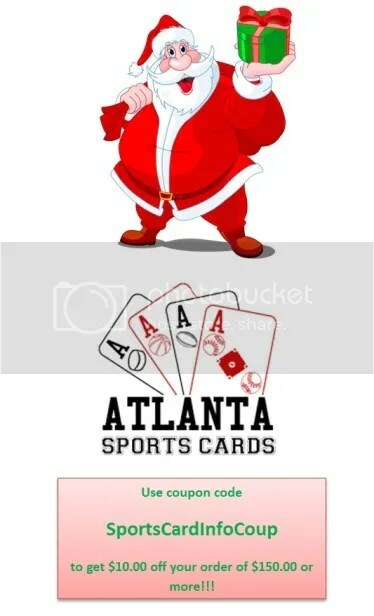 Figures can range in price from a few dollars well into the thousands. Like a lot of card companies at the time, Starting Lineup had a Collector’s Club. Members would receive exclusive figures and all sorts of fun stuff. 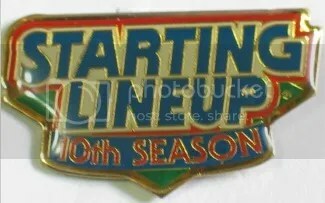 In 1997 or 1998 members were given special pins to commemorate Starting Lineup’s 10th season. The 49ers played their final regular season game at Candlestick Park on 12/23/13 beating the Falcons 34-24. Candlestick Park has been home to the San Francisco Giants (1960-1999), Oakland Raiders (1961), and San Francisco 49ers (1971-2013). You could easily say that the 49ers have the most history at Candlestick Park when compared to any of its other occupants. One of the greatest plays in NFL history took place there during the 1982 NFC Championship game against the Cowboys. “The Catch” was the winning touchdown made by Dwight Clark off a pass from Joe Montana. This touchdown led the 49ers to their first Super Bowl. It won’t be long before they implode Candlestick Park. The new Levi’s Stadium will be home to the 49ers starting next year. 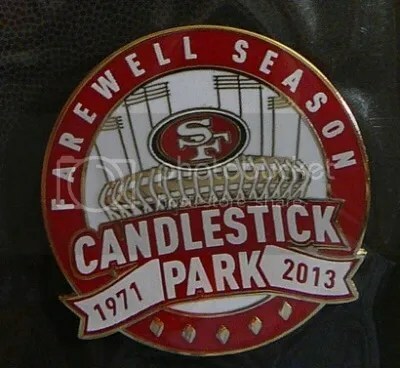 There have been a bunch of pins made to celebrate the final season at Candlestick Park. Each and every one of them are on fire right now. 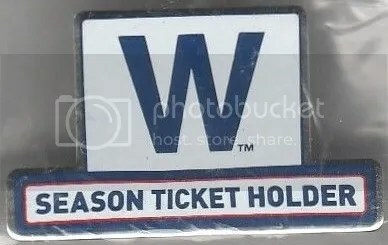 This pin for example is currently selling for $50.00.